Is it your dream to become a Yoga Teacher, or just simply to take your practice to a deeper level? Would you like to learn more about the origins of Yoga and understand how your own body works and why we practice what we practice? Our next Course starts on September 14th. If you are interested, contact Sabina Erlich at sabina@hatchyoga.com to book an free intake interview. Our intense 225 hour course runs for five and a half months, every Saturday and Sunday from 12 to 5 pm. The focus of our program is to form teachers with a solid foundation on functional anatomy, alignment, and teaching methodologies so they are ready to teach skillfully and safely upon graduation. Upon graduation, you will be certified as a Yoga Teacher and also as a Restorative Yoga Teacher. 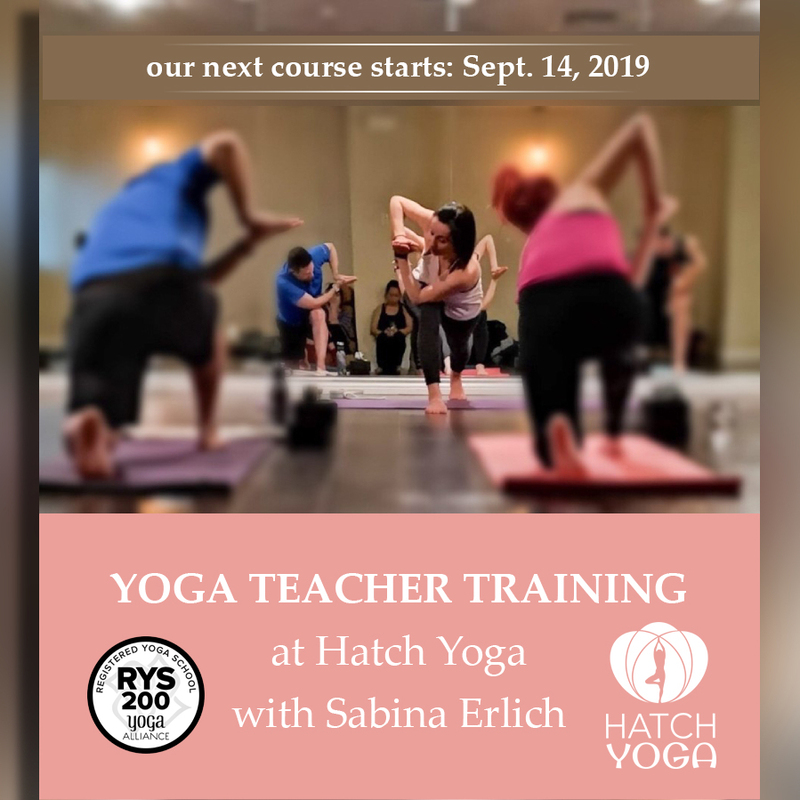 Your tuition fees include unlimited classes at Hatch Yoga (50 classes / week) until the end of the program, starting from the moment we receive your deposit. That means you can start taking classes right away and deepen your own practice before starting your teacher training in September.